Most urine tests requested by police officers from an Illinois DUI suspect are requested so the officer can have the sample sent off to be tested for drugs rather than alcohol. 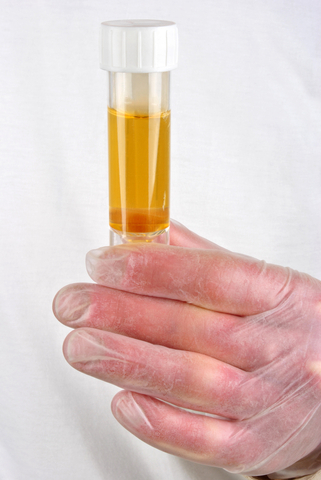 Urine sampling is the least reliable form of alcohol testing. There are circumstances, however, where an IL DUI suspect may be asked to submit a urine sample for alcohol testing. Urine testing is covered by the IL Implied Consent law, and you will face an administrative suspension of your driver’s license for refusing such a request. The most common time a urine sample is requested of an Illinois DUI suspect is after a Drug Recognition Evaluator (DRE) has performed the DRE exam on the driver. Urine is thought to be a more reliable way to test for various drugs. DRE is becoming more popular with police departments across the nation as the federal government is giving grant money to departments so they can train more officers. If you are asked to provide a urine sample after you have been arrested for an IL DUI then you should ask for permission to call an attorney before agreeing to provide the sample. When you call our office we will walk through the considerations you must make before agreeing to submit to such a test. Ultimately, it will be your decision whether to submit to an urine test for alcohol. When you have been arrested for an IL DUI based off a urine sample you need to contact us immediately so that we can file the appropriate paperwork to protect your driver’s license. You only have a limited time to challenge the suspension of your driver’s license and if you do not file the appeal in time you lose the right to appeal the suspension at all. Call us right now for a free, confidential case evaluation.